Accelerate the speed of doing business. Transform your business with a modern, best-in-class ERP system. 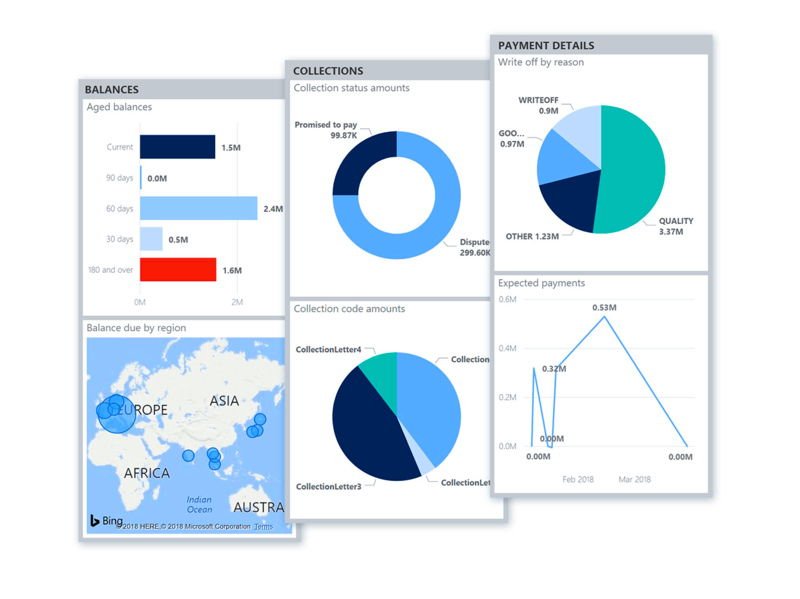 Dynamics 365 combines financial and operational data to help you get deeper insights into cashflow, days sales outstanding and corporate compliance. Included embedded Power BI analytical workspaces surface meaningful businses metrics with a single click. Multi-company and multi-country localizations provide a powerful platform capable of handling even the most complex of business scenarios. 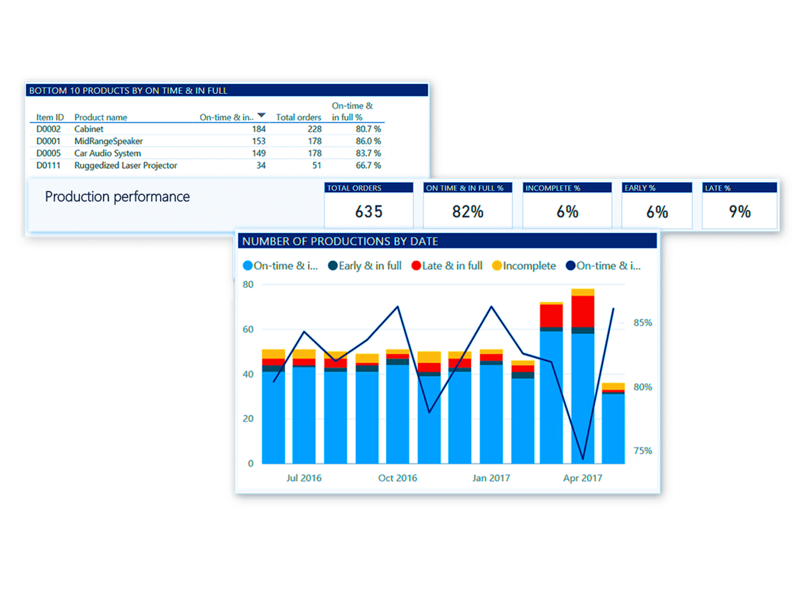 Dynamics 365 for Operations allows you to use real-time data to track production flow, minimize lead times, and fulfill customer demand. Complex production routing and bill of materials functionality enable sophisticated manufacturing processes. Discrete, process, and lean manufacturing principles can be intemingled to facilitate complex production needs. Want to know more about what Dynamics 365 Finance and Operations can do for your business? Download the Microsoft Datasheet here! 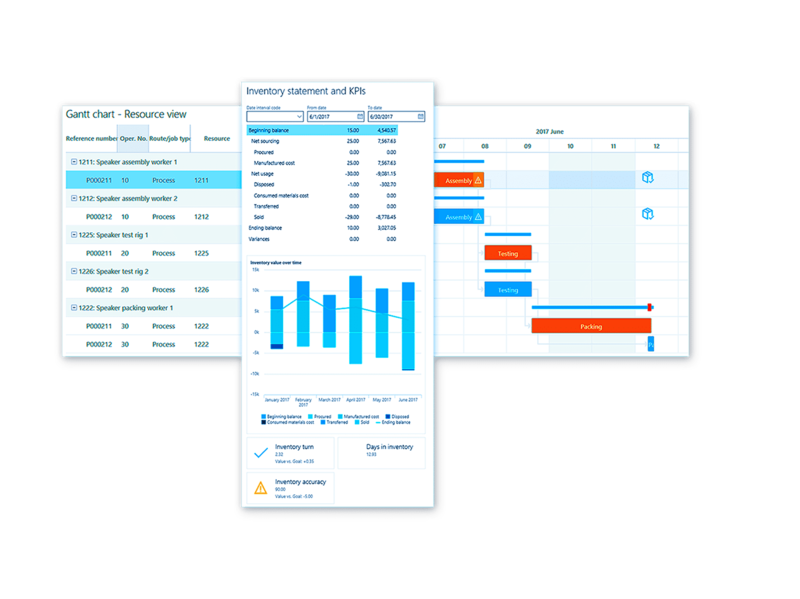 By using Dynamics 365 for Finance and Operations to connect sales and purchasing processes with logistics, you’ll be able to provide visibility and management throughout the supply chain. Robust master planning module can handle multiple, cross-company demand and supply efficient planned orders. Enable your worldwide distribution needs using Dynamics 365 for Finance and Operations! 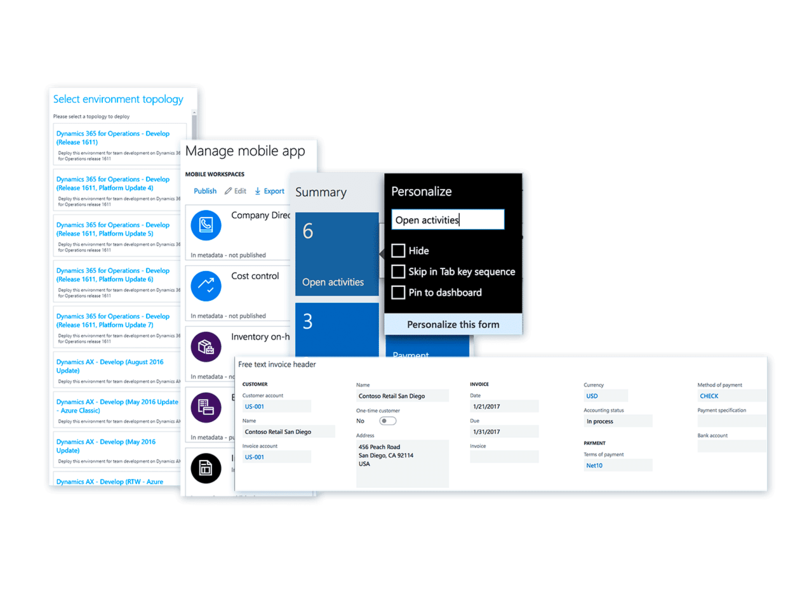 Simplify and accelerate business process changes by leveraging the rapid and scalable deployment options of Dynamics 365 for Finance and Operations, both in the cloud and on-premises! Ready to see how Dynamics 365 for Finance and Operations can take your business to the next level? Fill out the form below and we’ll immediately email you the Dynamics 365 F&O Datasheet.